A very enjoyable half day cruise tour combining two popular attractions which include the Grand Harbour Cruise and the Malta Experience. The Harbour Cruise allows you to witness Malta's living past. 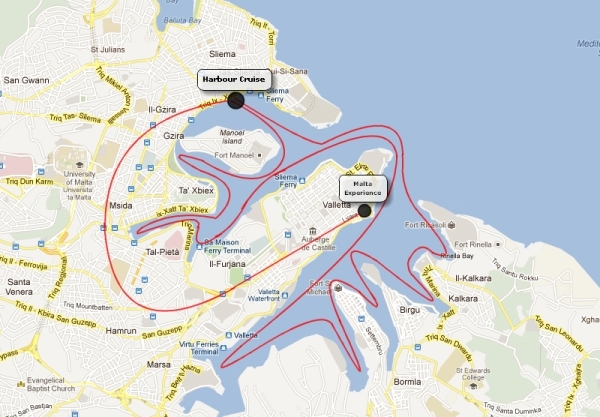 Cruise around the two natural harbours on either side of Valletta - Marsamxett Harbour and the Grand Harbour. 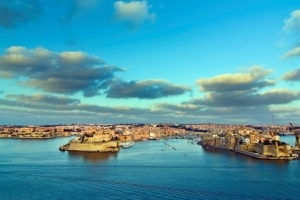 A detailed commentary will unfold the history of Valletta and the Three Cities connected with two Great sieges of 1565 and 1942, as well as all the other places of interest including the historical forts, battlements and creeks which can only be admired from the sea. We cruise into every creek showing you the closest possible views. The Malta Experience, is a superb 45-minute show illustrating 7000 years of history of the Maltese Islands - from the neolithic period to modern times. The show features thousands of colour slides displayed by 39 projectors and outstanding audio effects. The show is of outstanding quality displaying episodes of our past in the best possible way. This was a great tour of the 2 harbours which both showed and explained both the variety of activities on the water and the magnificent shoreline. Thoroughly recommended. The hotel pick up and transport back was very good. Only problem we had was when we went to the Malta experience, the driver did not tell us what time we were to get picked up. We went to pick up something to eat at the end of the film and the other passengers had to come and look for us. We were looking for the bus were arrived in and the one that came to pick us up was airport travel. A bit more communication from the driver would have been helpful Other than that would recommend this trip. So, how come the other passengers knew what time the pick up was..maybe you did not hear the driver? Let us put it down to a misunderstanding. Please you enjoyed the tour though.